If you are a craft artist who makes and sells jewelry, you face some stiff competition. The craft fair scene and online retail space is crowded with tons of other handmade jewelry sellers, not to mention all of the mass-manufactured jewelry and high-end luxury jewelry brands out there. Many juried craft shows even put a cap on the number of jewelry artists they will accept, and some long-running shows feature waiting lists for jewelry artists. Etsy is overrun with jewelry artists selling their work, and many artists use the same suppliers to source their materials. Want to stand out from the competition? 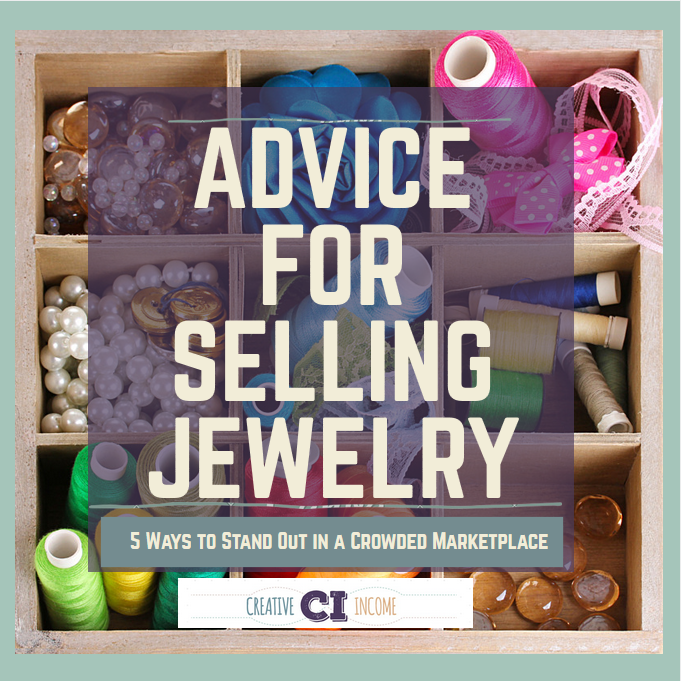 Here are 5 tips for jewelry artists who want to stand out in a crowded marketplace. 1. Become crystal clear about who your ideal customer is. If you’re trying to please everyone, you’ll wind up selling to no one. One of the first things you should do, no matter what type of business you run, is get crystal clear about who your ideal customer is. Knowing who you are trying to create products for and who you are marketing those products to will influence everything you do in your business. The more you truly understand who that person is and what motivates them, the better you can service them. What types of magazines do they read or tv shows do they watch? What keeps them up at night? What bothers them about the world or their daily lives? What are their values? Do they lean towards one end of the political spectrum or belong to a certain religious group? The more specific you can be about who your ideal customer is and what they love, hate and need, the more closely you can tailor your marketing efforts to them as well as create products that fit their needs. Take it one step further: give your ideal customer a name and create a secret Pinterest board to paint a clearer picture for yourself about who this “person” really is. 2. 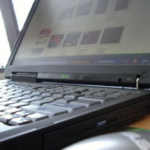 Use keyword research to find specific niches to focus on. Jewelry is often a splurge item, something people buy either as a gift for someone else or as a treat for themselves. So remember to think in terms of your jewelry as “gifts” as well as fashion accessories. You can gain insights into what types of jewelry people are looking for, as well as what types of gifts people are looking for, by doing keyword research to determine the most popular keywords for your industry. There are a number of ways to do this to determine the most popular terms that people use when searching for jewelry, gifts or other products. Google Adwords offers a tool called Keyword Planner within it where you can research what keywords people are typing into the search engine. You can also use Google’s Autocomplete feature to get new ideas of popular terms that people use when searching. Etsy and Pinterest both offer similar autocomplete features that are also helpful. Want a head start? I’ve gathered up some of the most popular SEO keywords for jewelry artists for you already. 3. Dig deep for unique materials and inspiration, and become secretive about your supply sources. In order to stand out from the many other jewelry artists you’re competing with, try to avoid using the same sources for jewelry supplies that everyone else is using. This is easier said than done, but as much as possible, look for truly unique sources that haven’t been picked clean by other jewelry designers yet. Vintage components can be a great way to make your jewelry unique, as the materials are more rare and harder to find. 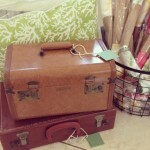 Scour antique shops, flea markets and thrift stores for possible materials to incorporate into your jewelry. Think outside of the box when it comes to your material sources as well. Maybe inspiration will strike when you’re at the hardware store instead of the craft supply store – unexpected materials can make for truly exceptional jewelry pieces. You’ll also want to seek inspiration outside of traditional jewelry designs or even fashion. Look to architecture and geometry for inspiration. Let the shapes and colors found in nature be your muse. Or if you are inspired by poetry and literature, let that find its way into your jewelry designs. Secret Pinterest boards are a great way to keep track of visual inspiration for your jewelry brand. You can easily bookmark inspiring websites and possible supply sources while keeping your ideas away from the prying eyes of competitors. It’s fairly easy for anyone to learn how to string beads or add a clasp, but learning how to solder or make your own jump rings takes your jewelry artistry to a whole new level. If you are submitting your work to a highly competitive juried craft fair, what would make your work stand out more… using store-bought glass beads or lampwork beads you make yourself? Seek out classes, both locally and online, and learn how to make as much of your jewelry yourself as possible, rather than just assembling store-bought parts. 5. Focus on what makes YOU special, and make others feel special too. Remember that you are selling more than just a product. You’re selling an experience and a feeling. Jewelry is a way that we adorn ourselves. Jewelry can make us feel beautiful, or strong, or loved. It is those feelings that you are truly selling, and the more you can remember that in your marketing efforts, the more effective you will be. You should also remember that the primary thing that makes your jewelry designs different than everyone else out there is you. You have a unique combination of interests and skills and life experiences that no one else has. You may not think that those things directly affect your jewelry business, but those things are what make you special. Some people may be motivated by price alone, but if you truly value building long-term relationships with your customers, that comes from a human connection. Your long-term customers will value who you are as a person just as much, if not more, than the jewelry itself. This is another reason why it is so important to become truly clear on who your target customer is. Keep your target customer at the forefront of your mind, and focus on making them feel amazing, at all times. Worry more about how you make your customers feel and less about how your product stacks up against the competition. The feeling that you give to them is something that will be hard for a competitor to take away. What do you think about the tips I’ve shared here? Do you have any tips of your own or personal experiences you think would be helpful to other artists? Please share them in the comments below or reach out via Facebook or Twitter – my contact information is right below! Mallory Whitfield, aka Miss Malaprop, began her journey as a creative entrepreneur in 2004, selling her handmade creations at local craft shows. 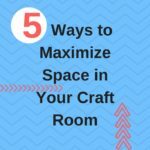 She has even written an e-book about how to make money at craft shows, covering what she learned during 10+ years of selling at art markets, craft fairs and festivals. By day, she helps businesses of all shapes and sizes promote their brands, as Search Analyst at FSC Interactive, a leading digital marketing agency in New Orleans. Just the information I needed. Just in the beginning phases. Thank you! Thanks for reading! We’re glad you found this post helpful. Best of luck in all of your endeavors! Thanks so very much for this article, it was not only helpful, it is also an encouragement for me, I just started making my own earring findings, head & eye pins, they don’t always come out looking professionally made, but with a little tweaking I make them my own. & it save me money to buy more supplies. That’s great Synethia! You’re definitely on the right track, and I’m sure as you continue to make your own findings they will only get better and better, and will add a lot of value to your jewelry. Best of luck! Great advice, and more sophisticated than most articles on the topic. It’s true that there are a jillion sellers on Etsy now, but having a unique brand and focusing on quality will still work to rise above the crowd. Thank you so much Emma for the kind words! I’m glad you found this article valuable. Great article!! I used to make jewelry years ago and recently started again. I have an Etsy shop and have been looking into selling thru Pinterest too but very slow going. As you said there are A LOT of people selling jewelry everywhere. It can be very discouraging when you invest your heart and soul into making things you hope others will enjoy only to wait and wait for buyers. I REALLY enjoy making it and find it to be very relaxing so I will keep pushing on…I also agree about standing out and making your customers feel special. I recently sold a bracelet to a lady and included a complimentary pair of matching earrings. She contacted me when she received them and told me how much she LOVED the bracelet and how surprised she was to find the matching earrings! To me it’s all about making someone’s day…Thanks again for the great article! By selling your jewelry to TRUVAL, sellers are assured to receive a free and expert jewelry appraisal with a far more informed jewelry buyer than most local jewelry stores or pawn shops can provide. Avoid the false promises inferior jewelry buyers make over the phone just to make you a lesser offer in person. Our experts are ready to assist you with the entire jewelry selling process and answer all your questions and concerns. TRUVAL’s unique process ensures transparency, discretion, and value for sellers worldwide. I really like exploring new styles of jewelry making. I am not sure that I come across w a clear statement. I like making fun, colorful, playful pieces and often think that the work is geared to the youth. Then I love using vintage components. Then I will create a bunch of feather pins and earrings. The changes keep me entertained. Do you have any idea regarding marketing strategy? or tips? Comments welcomed. Please feel free to Email me! My wife has been wanting to sell her gold jewelry and hasn’t known where to start. I liked that you had mentioned that it can be important to have quality craftsmanship in everything you make. We’ll have to start looking for someone that we can sell our gold jewelry too, and we’ll be making sure the craftmanship is great.